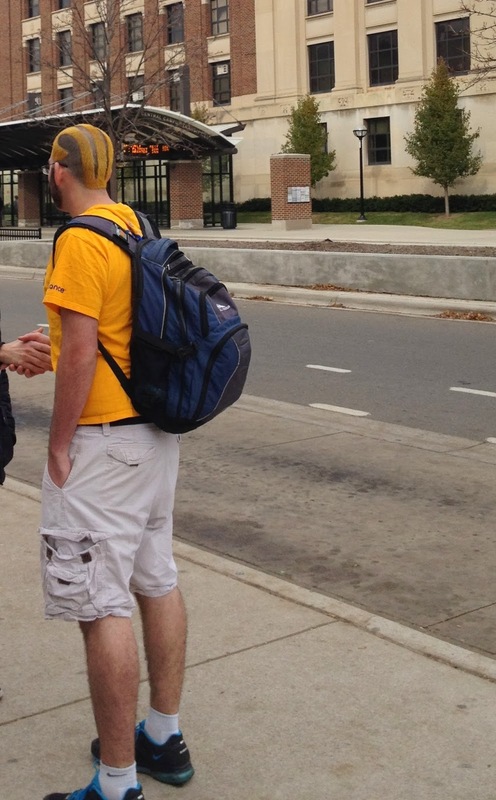 Nothing says team spirit like shaving the the University of Michigan's iconic winged helmet shaved into your head for the season. I've seen this guy around campus a few times this fall. Probably should have asked permission before snapping his picture. You have to admit though, it's a pretty sweet haircut.